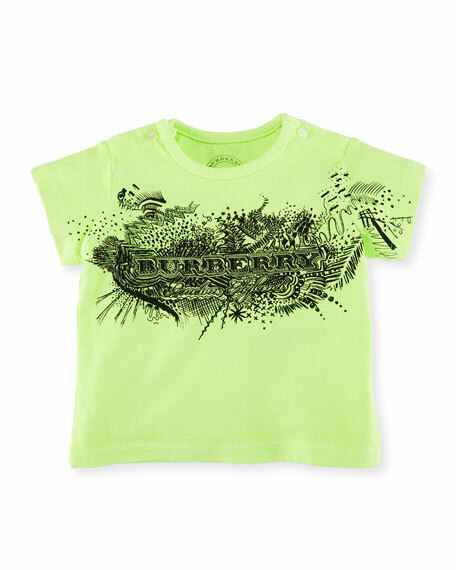 Burberry "Rydon" T-shirt featuring logo scribble print. Crew neckline; buttons at shoulders. For in-store inquiries, use sku #2394907.